This is not new news for us. 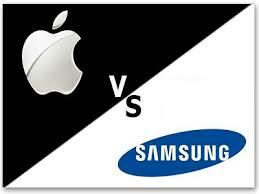 Samsung and Apple are accusing each other of patent infringement for some time now. Per total, Apple is accusing a total of 10 Samsung devices,which includes Galaxy Note I and II, Galaxy S III or Galaxy Tab 2. In the same time, Samsung is accusing iPhone 4, 4 S, 5 and iPad 2,3,4, mini and touch. Who will pay for it’s claims? and will win the trial? We will present live all the data beginning with March 31.